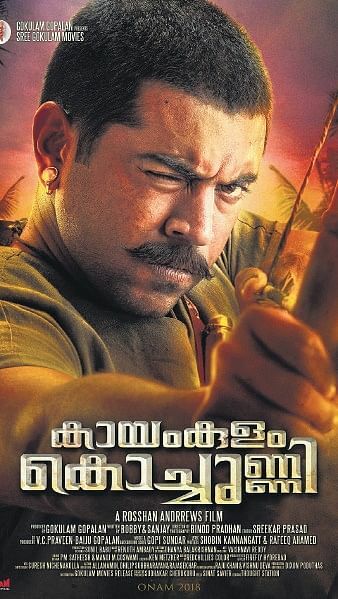 Nivin Pauly's upcoming epic Kayamkulam Kochunni, whose release got delayed on account of the floods, will now hit theatres on October 11. Nivin Pauly's upcoming epic Kayamkulam Kochunni, whose release got delayed on account of the floods, will now hit theatres on October 11. Gokulam Gopalan is bankrolling the film. Binod Pradhan is the cinematographer and Sreekar Prasad the editor. Gopi Sundar is the music composer. Directed by Rosshan Andrrews, Kayamkulam Kochunni is written by the Bobby-Sanjay, the screenwriting duo behind Rosshan's Mumbai Police and Traffic. Mohanlal will appear in an extended cameo as Ithikkara Pakki, a mentor of Kochunni. Priya Anand plays the main female lead.